MK to propose bill to stop making the MFA 'a bank for spare parts for frustrated ministers,' halt division of responsibilities. 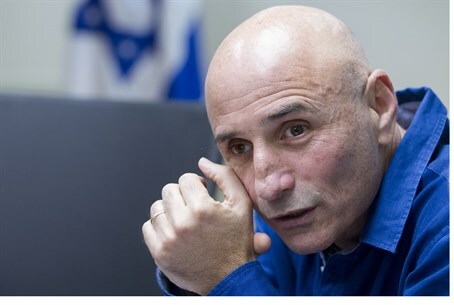 MK Ofer Shelah (Yesh Atid) announced Tuesday that he plans to submit a bill to clarify the powers and responsibilities of the Foreign Ministry, and avoid splitting the functions of the office in the current government. "The Ministry, which once carried a prestige and honor, became in the hands of [Prime Minister Binyamin Netanyahu] a bank of spare parts for frustrated ministers," Shelah raged on Facebook. Shelah noted that the responsibility for peace talks and US-Israel relations has been given to Interior Minister Silvan Shalom (Likud), the Hasbarah (Public information/media) responsibility against the Boycott, Divestment, and Sanctions (BDS) movement has been given to Strategic Affairs Minister Gilad Erdan (Likud), and that both Erdan and former Strategic Affairs Minister Yuval Steinitz (Likud) have divided up responsibility for Iran. Meanwhile, Deputy Foreign Minister Tzipi Hotovely has theoretically been given "all of the powers" of the Foreign Ministry, with Netanyahu as the semi-symbolic Foreign Minister. "Everyone received part of the ministry, essentially receiving nothing," Shelah argued. "It seems that when there is no foreign policy we do not have a foreign minister." "For these reasons exactly, I submit in the coming days once again a bill that was formulated in the previous Knesset by my friend [former Yesh Atid MK] Ronen Hoffman and supported by all factions, which would stop breaking up the Foreign Ministry and using it as a bank for spare parts," Shelah noted. "The proposal was intended to clarify the status of the Ministry of Foreign Affairs and to anchor its authority." "According to the bill, the Foreign Ministry will be the body responsible for managing the political negotiations, and the body responsible for all matters relating to the Diaspora, strategy, international relations and public relations," he added. "It is time to return to the Foreign Office its status, dignity and authority." Shelah's announcement follows rumblings Monday night from several government officials who stated to Channel 10 on condition of anonymity misgivings over the decentralization of the Foreign Ministry.